The first ever Hoverfest is about to hit Portland, Oregon. Expect heavy fare from the artists just announced for the lineup. Portland will experience its first ever Hoverfest this August 24th at 611 Tillamook Street. The event, hosted by Cravedog and booked by Nanotear, will feature a select group of heavy bands to rock the back-alley stage off Tillamook. Many of the bands in attendance will likely be using Hovercraft brand amps and making the most out of the unique sound resulting from Hovercraft founder Nial McGaughey’s creative process. 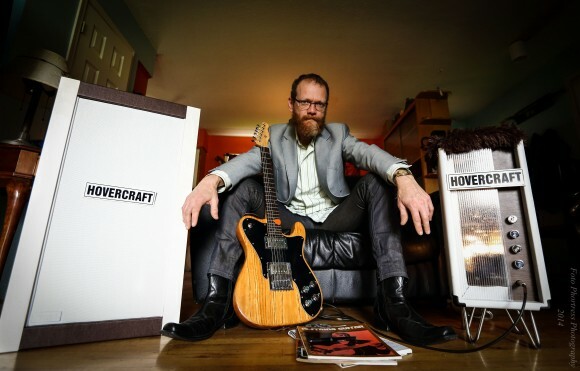 McGaughey, a Portlandite who spent time honing his musical and sound-engineering craft in Los Angeles before returning to the city now hosting Hoverfest, is the genius behind Hovercraft amps. The amplifiers are made out of recycled material, and they can take more than a pounding from the likes of heavy artists like YOB, Blackwitch Pudding, and Brothers Of The Sonic Cloth. The lineup for the fest is below, with more details sure to come from Hoverfest.